I was sent this plus4 recently with what I thought sounded like a rom fault. 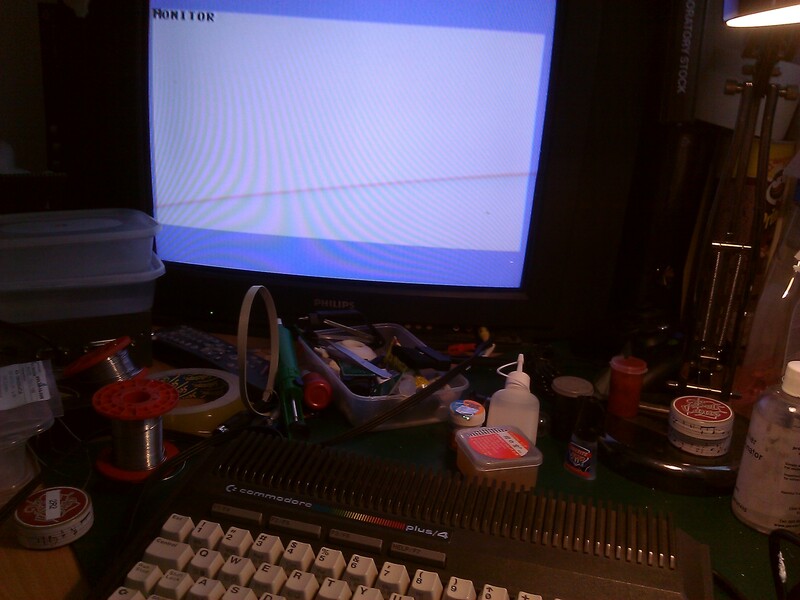 As many of you will already know, the plus4 is the most unreliable machine Commodore ever made.. Even worse than the high chip count C128. 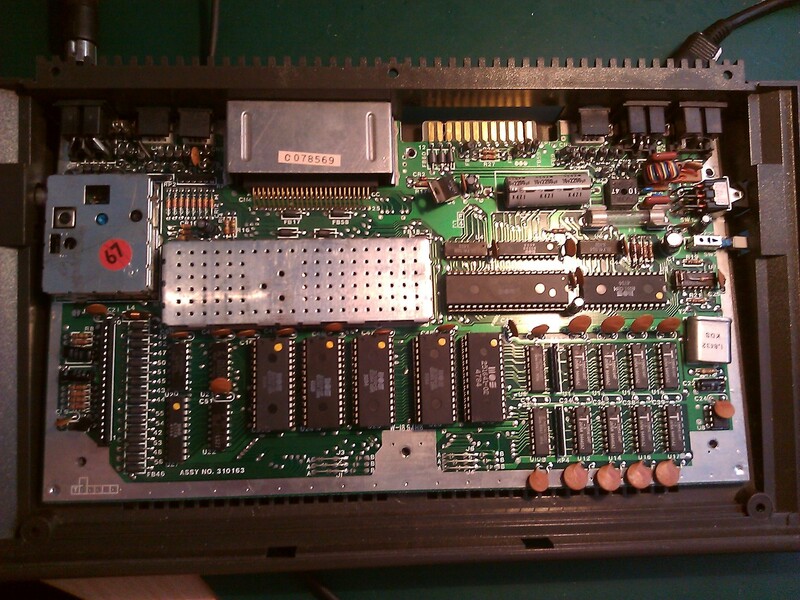 This plus4 needed a new chip, new capacitors, and a nice heat spreader to make it last a bit longer! As soon as you turned this plus4 on, it just displays MONITOR. If you get anything like this, grab a cartridge and plug it in. If the cartridge works, you have a ROM fault. 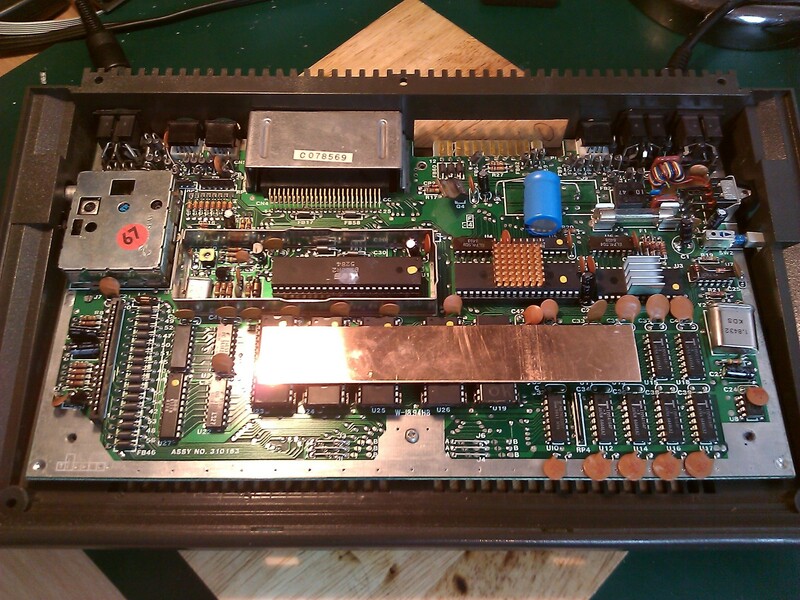 You should always replace the capacitors in this old kit before they go out of specification. 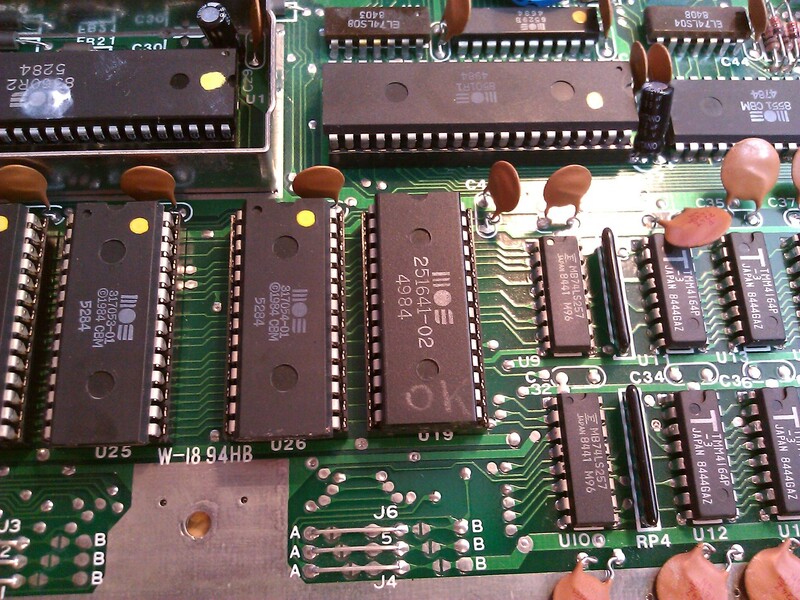 After changing said caps, it only took one chip swap to find the faulty silicon. I had already tested it against my working plus4's PLA before I bought this one! Oh no's.. Those capacitors need replacing. 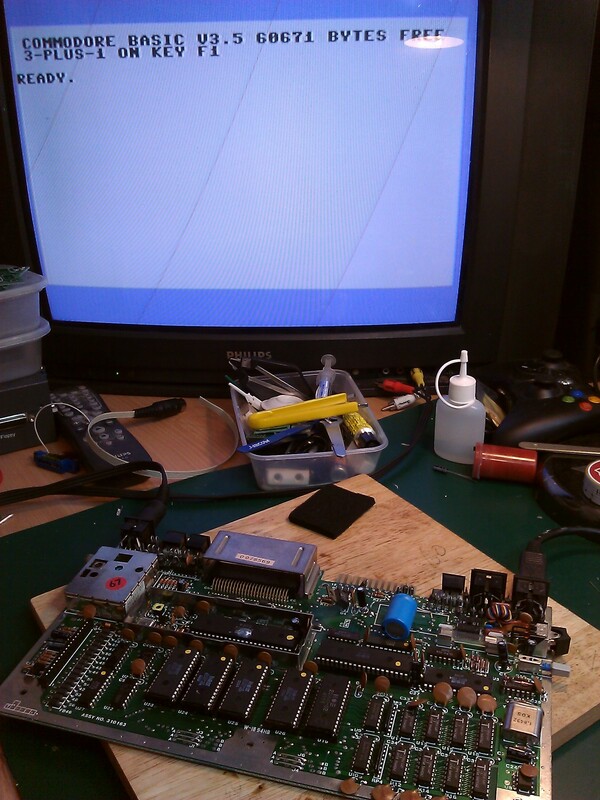 This was an easy fix, normally I'd use my infra red thermometer to see what chips are running too hot. (Good way of finding a faulty memory chip). 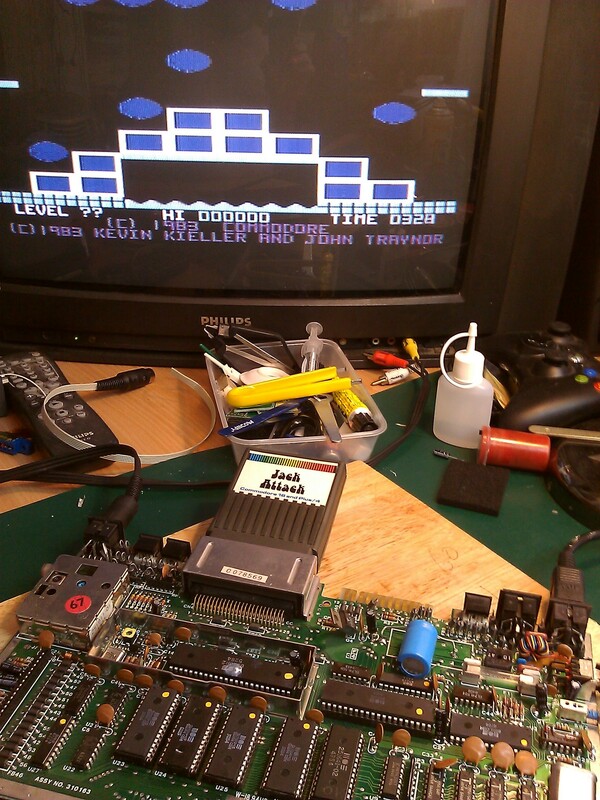 But in this case, as it wasn't the Rom, it was the PLA! Easy! If your going to do a job, do it properly.